Believe it or not, Winter WILL turn to Spring, and sooner than we think. We're in another Polar Vortex in the middle of winter, the lakes are all frozen solid, as is the ground. Reports have come in that other frostbite fleets have had to cancel due to excessive ice. The air has a chill and it feels like more snow is on the way. What better time for the denizens of Lake Massapoag to get together and talk about sailing! Mory and Mary Waltuck hosted the Massapoag Yacht Club's annual winter brunch at their beautiful home on Lake Mirimichi this morning. They put out a wonderful spread guaranteed to help pack on the winter fat and had coffee available by the gallon. About 30 people showed up to avail themselves of the Waltuck's hospitality, and there were a lot of discussions of past adventures, sailing rumors and and future plans. Thanks to Mory and Mary for a great time! Speaking of future plans, it's hard to believe that the season is coming upon us. Barrington Frostbiting stars up in just three weeks! 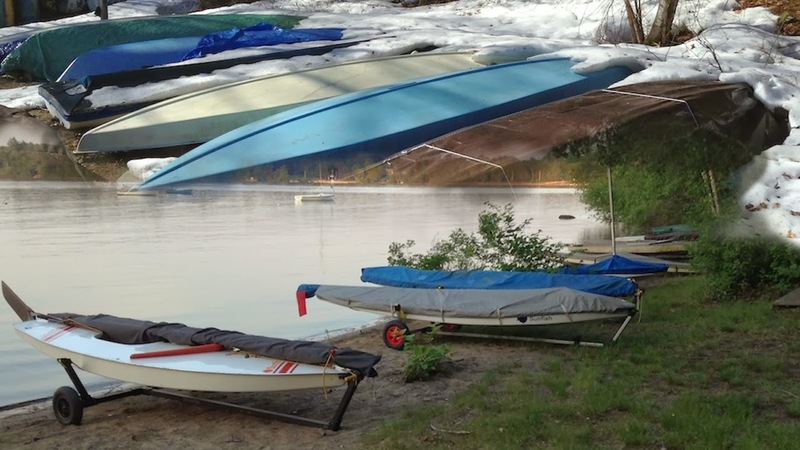 The MYC Saturday Sunfish Series is going to start earlier this year, and run later. Racing will start on May 17, three weeks after the Spring Work Party, and just two weeks after the end of the Frostbite season in Barrington.